I have the RRS PG-01. I can tell there is a bubble level on the horizontal bar. Interesting. We contacted RRS and they told us that only the version of the PG-01 with the leveling system had a level in it. Thanks for the feedback. PS if you have a photo of it, that would be a great help. How did you secure part 2 to part 3??? 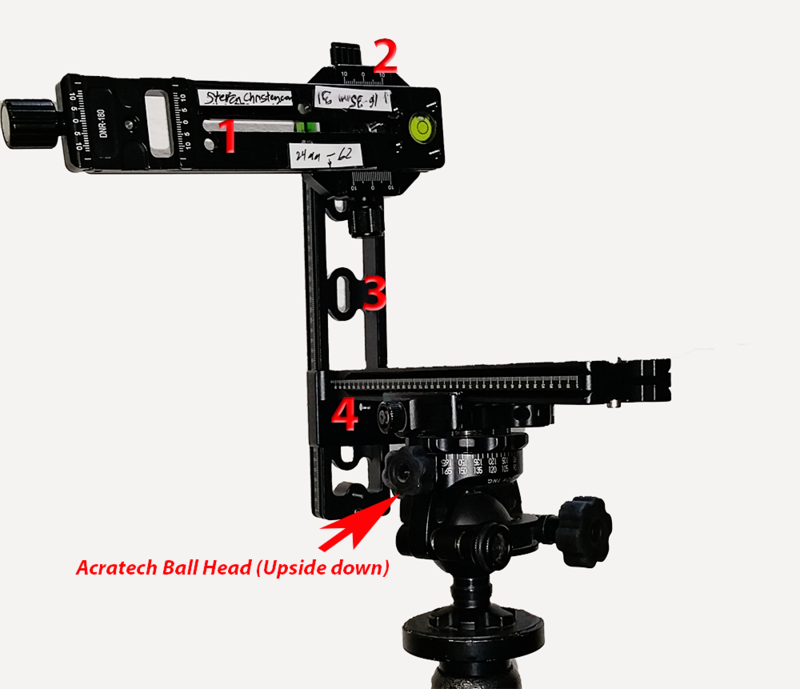 The screw you used is not included in the above set up…. Excellent question. One of the rails came with an assortment of screws and one of those screws worked perfectly. I have a Arca Swiss ballhead. Can I use this along with a leveling base, instead of buying another ballhead? Yes, of course. It *might* be possible to invert your Arca Swiss ball head as we did with the Acratech and you then wouldn’t need a leveling base. Depends whether your base has a separate knob for rotation lock (many do not). I would not recommend the ProMaster GH25K Gimbal Pan Kit (generally any gimbal head), as it is not really a panoramic head. 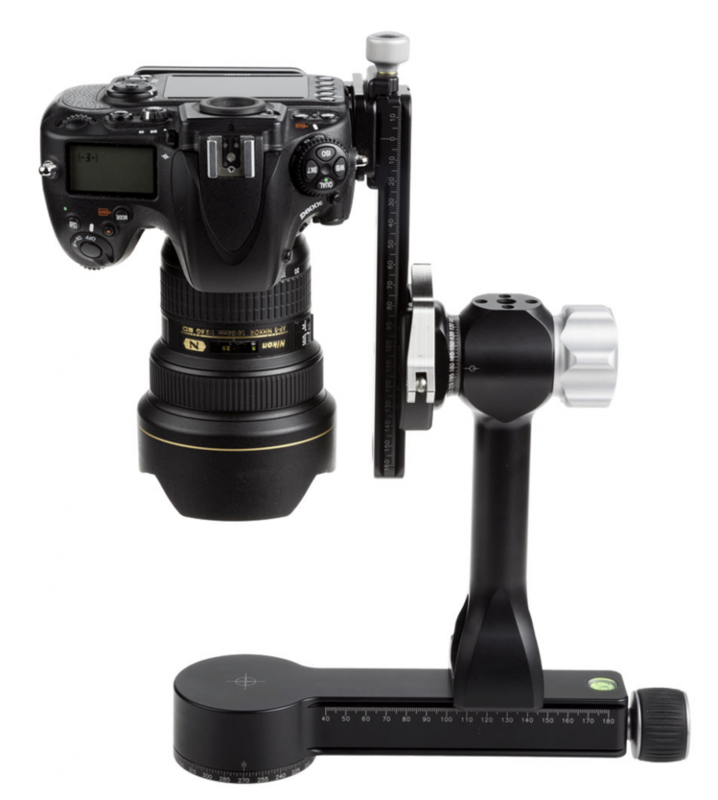 It is constructed to make movement of heavier cameras more easier on the tripod. The main problem there is that you cannot set the nodal point correctly and as you change the elevation, the nodal position is changed, too. Especially when making multirow panorama with close objects in the bottom this head will corrupt the stitching. @Pavel: I believe the way to fix that problem is to adjust the height of the plate so that the center of rotation (up down) occurs at the nodal point of the lens. 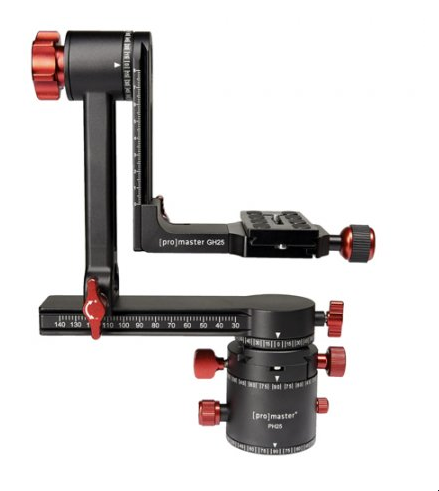 In the image above, it’s a matter of raising or lowering the quick release mount plate so that the arrow at the top is at the *center* of the lens. Indeed I worried about that myself until I discovered that that plate could also be adjusted. The same adjustment trick can be used as the one I show in the video and is illustrated with the Really Right Stuff PG-02 photo. Thanks so much, I used your parts list to make a pano rig and I really like it. I did however make two modifications that work for me. I replaced the Desmond DLR2002 vertical rail with another Neewer nodal rail which eliminated the need to bolt the pano head to the rail. 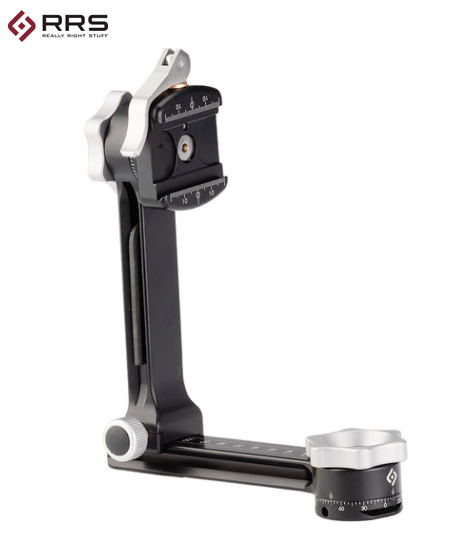 It just clamps in to the arca swiss slot on the vertical nodal rail. I also got a second pano head that the whole rig sits on. It mounts on my normal ballhead right way up. 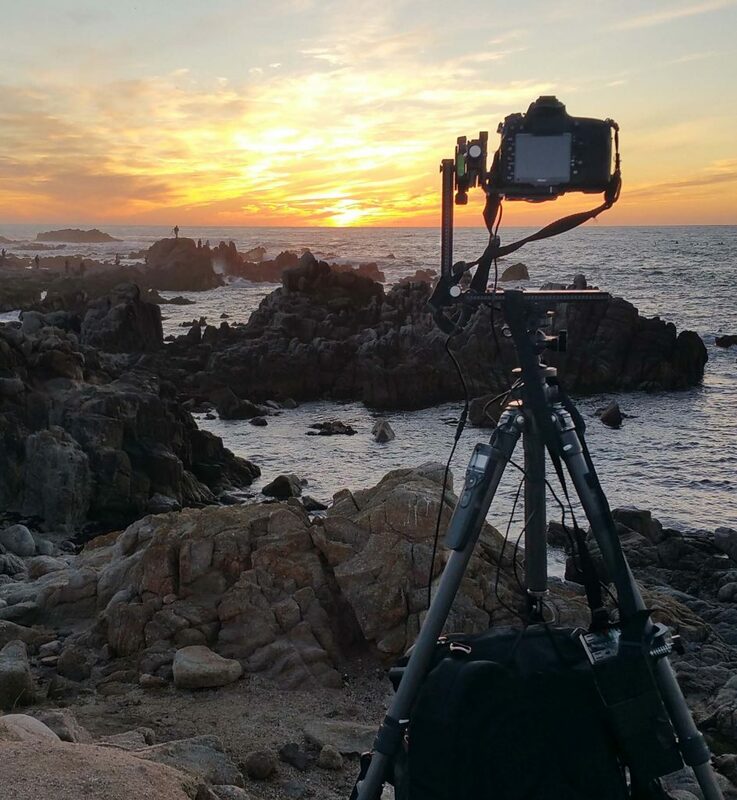 The whole rig goes on and off in a few seconds and doesn’t affect the normal configuration of the tripod but still lets me level the rig very simply. Again my thanks I never would have gone down this road if not for your efforts putting this together. We used what we could get… can you provide links to the parts you used? Thanks for the praise, and we always welcome improvements!